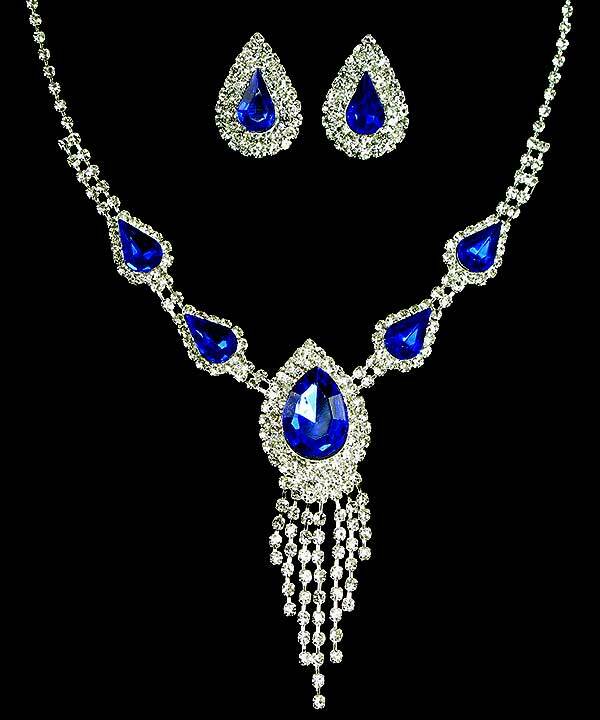 Rich combination of silvery shimmering of rhinestones and sapphire blue crystals will ideally match your party outfit. The emphasis is made on pear-shape crystals trimmed with rhinestones. The central crystal ends in pendant rhinestone stripes. Fabulous earrings of the same style. Buying jewellery online has never been so easy and fun. We hope you enjoy shopping at Oz Bling.